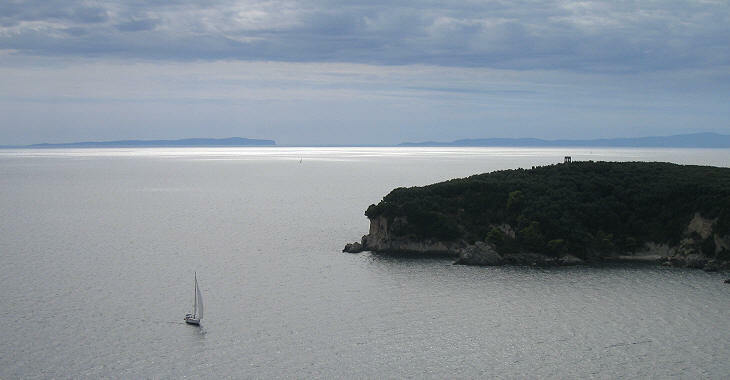 1401 The Venetians, having acquired Corfu, fortify a hill protecting a small cove on the Greek mainland. 1797 Assigned to France by the Treaty of Campoformido. 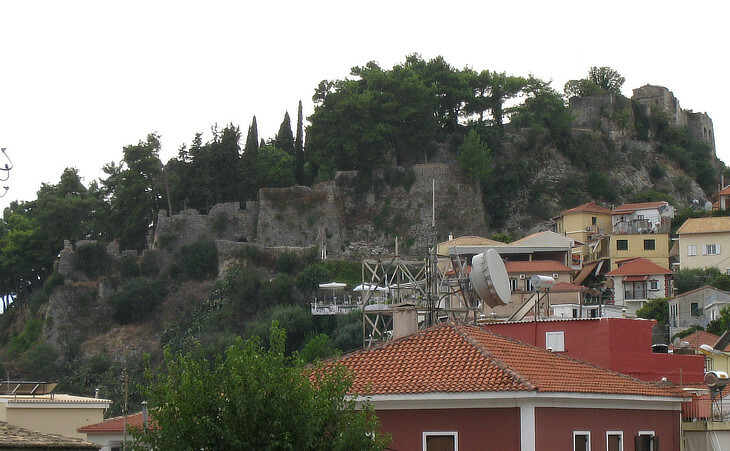 1798-1814 After several political changes, Parga eventually becomes part of a British protectorate. Parga is a tiny cove in the historical region of Epirus, opposite the Venetian islands of Paxi and Antipaxi and it was used by Venice to support the maritime route from Corfù to the Aegean Sea. The eastern side of the hill required fortifications whereas the western one was protected by a precipitous cliff. The Venetians, through their possessions in the islands and in the mainland, were able to control all movements of ships along the Ionian coast of Greece. 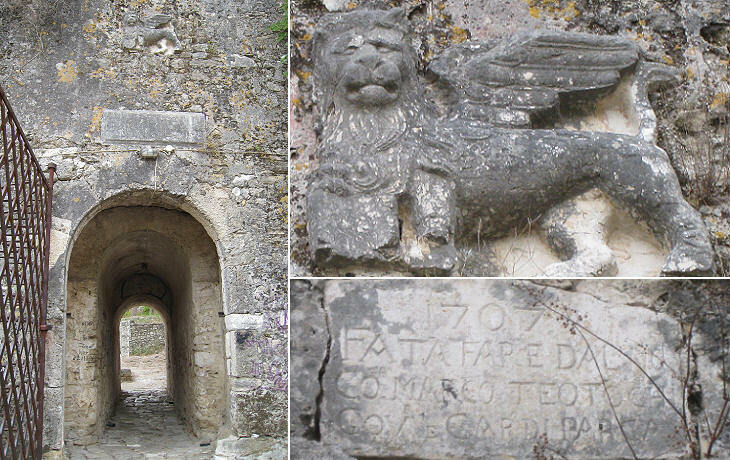 According to an inscription the fortifications were strengthened in 1707 by Marco Teotochi, commander and governor of Parga; he belonged to a noble family of Corfu and his Greek surname (Teothokis) was Italianized. Count Giorgio Spiridione Teotochi became the first president of a short-lived (1800-07) Republic of the Ionian Islands and Isabella Teotochi (who married first Carlo Antonio Manin and later Giuseppe Albrizzi, two Venetians noblemen) was famous for her literary salon in Venice in the early XIXth century. 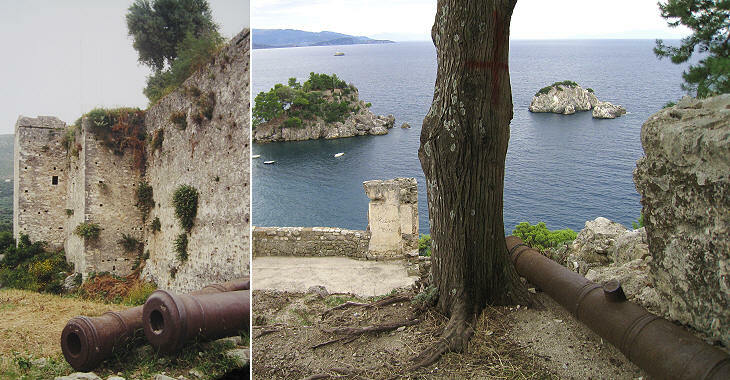 There are several cannon in the fortress, but they do not seem to belong to the Venetian period. 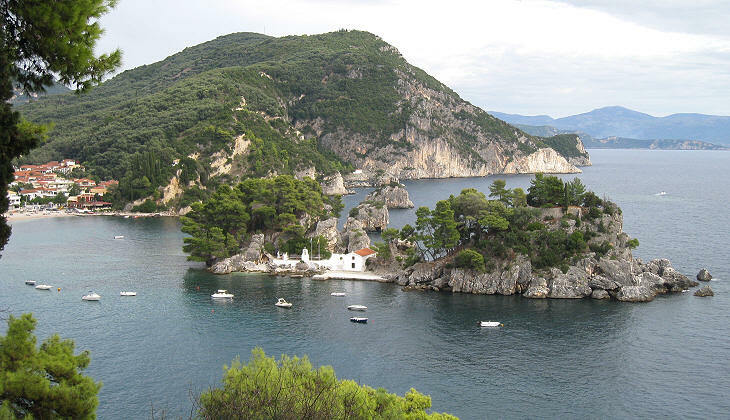 The name of Parga, today a crowded holiday resort, was very popular in the XIXth century, because the 1819 sale of Parga by Sir Thomas Maitland, Lord High Commissioner of the Ionian Islands, to Ali Pacha of Tepeleni was seen as a betrayal of the local Greek population in a period of rising Philhellenic feelings in western public opinion. Ali Pacha (1744 - 1822) was born in Tepeleni, southern Albania. He built for himself a nearly independent state in northern Epirus and southern Albania. His realm extended to Peloponnese. His government was tyrannical, but he was free from religious prejudices. The frequent visits by European travellers who wanted to meet him in person and the books referring to his life and acts by European writers and men of letters, speak for the glory of Ioanina, the capital of his state. Four consulates of the Great Powers (France, England, Russia and Austria) existed in Ioanina. In the alchemy of the Great Powers' policy Britain, to oppose the influence of Russia, decided to sell Parga to Ali Pacha. After having been ceded by the British to Ali Pacha, the inhabitants, without exception, determined to leave. On Good Friday 1819 the bells were tolling, while the Pargiots disinterred the bones of their dead, burnt them and took the ashes together with the holy icons to Corfu. Ali's troops entered a town where all was solitude and silence. 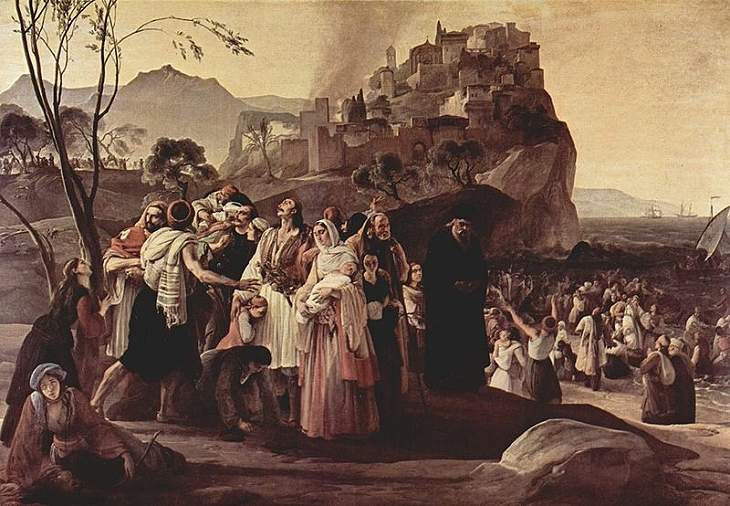 Although the event was not so uncommon in the region (many Cretans had left their island and sought refuge on other islands under Venetian rule or in Italy) it became a symbol of the cynicism of the Great Powers and the subject of speeches, poems and paintings, thus putting pressure for an intervention in favour of the Greeks. 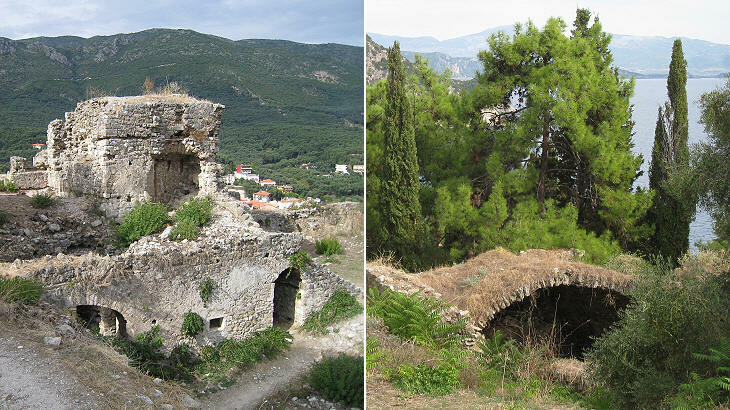 After the acquisition of Parga Ali Pacha built a citadel at the top of the fortress: it included a residential palace, military installations, cisterns and a bathhouse at the highest point. Parga was again abandoned by its inhabitants in 1924 when the Muslims, with whom Ali Pacha had repopulated the town, were returned to Turkey in a general exchange of populations between Greece and Turkey. Epirus was not part of the Greek World; its inhabitants were regarded as barbarians because they were unable to speak fluent Greek; this can explain why one of the entrance to the Underworld was located beyond the River Acheron, a few miles south of Parga. The souls of the dead waited on the river's southern bank to be ferried across it by Charon; they had to pay a toll of a golden coin (which their relatives placed under their tongue). Today the land crossed by the river has been reclaimed, yet the inland road which links Preveza with Parga explains to some extent why this location was regarded as the entrance to the Underworld. A few miles north of Preveza the road enters a lonely valley; the hills at its sides are covered by thick woods; only patches of silvery leaves indicate the existence of olive groves and of isolated farms; these signs of life become rarer and rarer and when the road is about to reach the pass leading to the valley of the Acheron, one has the feeling of having abandoned the land of the living.